Karen Yates, an adoptive mom and popular blogger who formerly worked for Amazima Ministries, recently wrote an incredible blog post about The So Cal Orphan Care Network entitled "Start an Orphan Care Network." 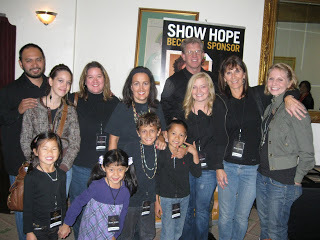 The So Cal Orphan Care Network was launched in 2011 by All Blessings Intl. Outreach Director, Jenni Ramsey, to provide support and encouragement to churches in So Cal with a passion for foster care, emancipated youth, orphan care or adoption. The network has grown to over fifty members in the past year and God has done amazing things in our midst! We will be gathering again next Tues, April 24 from 7-9 pm at 17491 Parker in Tustin and everyone is welcome. Karen Dunkelberger, Executive Director of Foster Care and Adoptions for Olive Crest, will be speaking. Feel free to invite anyone who is interested in foster care, orphan care, or adoption!